for display and easy access. 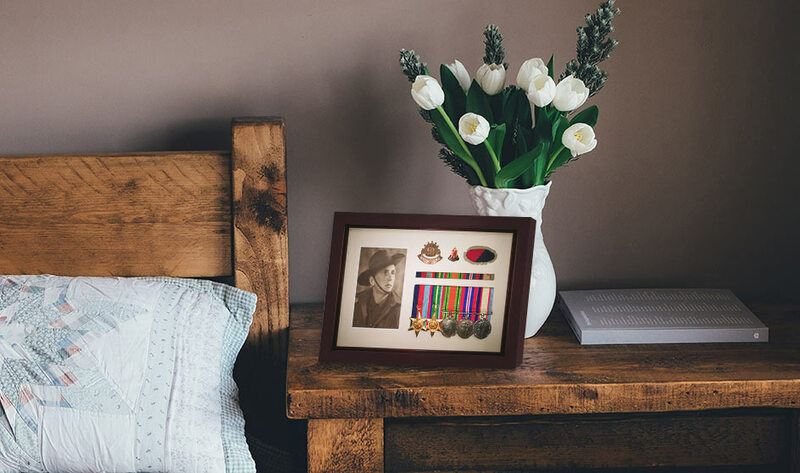 The ANZAC traditions are an important part of Australian History and every year the many military medals are on display on our diggers or family members marching. 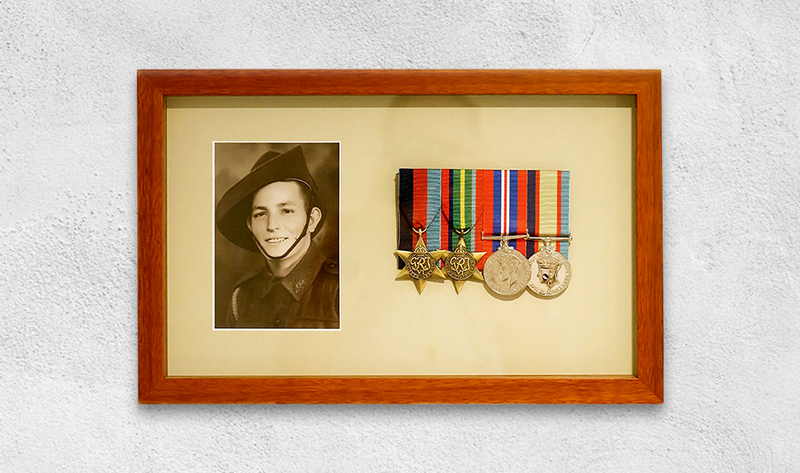 These important historic items need a place to protect and display them during the year while still allowing access on occasions like Anzac Day. We've developed and framed many medal collections that offer a memorable permanent display including our DIY medal frame kit. Including Sporting Medals and achievement medals you can have these framed into unique display frames that recognise the sport or activity. We work with you to find a suitable frame style and method that will showcase your medals and suit the location that they will be displayed. We offer a 2-year material warranty and a 10-year workmanship warranty on all custom framing.